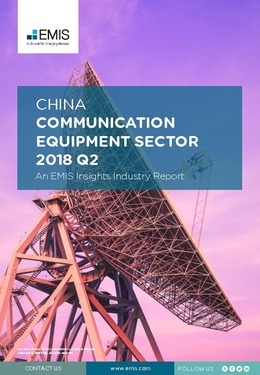 In the first quarter of 2018, the gross value added of communications equipment manufacturing increased by 14.2% y/y, higher than the 12.5% y/y average growth of the overall electronic manufacturing sector, according to a report released by the Ministry of Industry and Information Technology (MIIT). The higher production of mobile communication station equipment contributed to the growth. In Q1 2018, the output of mobile communication station equipment rose by 12.7% y/y to 72.1mn gates, boosted by increased demand. China is a net exporter of communications equipment products including mobile handset and mobile communication station equipment. The exports value of communications equipment products in Q1 2018 was up by 15.7% y/y, according to the General Administration of Customs. Smartphone sales in China, the world’s largest smartphone market, experienced a decline in 2017 for the first time, which forced the major smartphone producers to expand their presence overseas. Huawei, the world's third largest smartphone maker shipped 39.3mn smartphones worldwide in Q1 2018. This report provides a complete and detailed analysis of the communication equipment sector for China. EMIS Insights presents in-depth business intelligence in a standard format across countries and regions, providing a balanced mix between analysis and data.